Many private colleges do not have their own entrance test patterns and as a result use the results of government conducted entrance tests such as JEE and NEET to select students. A huge reason why this isn’t ideal is that all the top ranking students go into government colleges while anyone who isn’t at the top goes into private ones. It is more of a filtration than a selection, which is not very beneficial to anyone concerned. Besides, the generalized entrance exams aren’t the ideal way to choose students. This is because there are hundreds of colleges who use the same exam to choose their students, but it is impossible that all these colleges are similar in quality and aspiration. Each institution is different and has a different vision of its future, and therefore selecting students based on just one exam seems inefficient and fairly lazy. Many colleges simply ask for scores of national level tests such as JEE, NEET, CLAT, etc, but in many cases these aren’t appropriate. The reason behind this isn’t that the tests aren’t up to the mark but simply that they aren’t designed by or for the concerned institutions. Therefore, it is highly unlikely that they can provide competent results that in step with the institutions’ aims. Not all students perform well in every test. There is a chance that many students who have great ability couldn’t perform up to their potential in these tests, and they deserve a second chance. Knowing that they have another shot at making into a reputed college will boost their morale and motivate them to work harder. This will bring about a fall in the trend of students dropping a year or sometimes even two to prepare for a course of their choice. A online test system where students are supposed to take exams for an institution (or a set of institutions) instead of one single generalized test will give students a fair chance, and students won’t have to worry about lower ranks, as there will be a chance to try to do better at the next college. It won’t be a do or die situation, which will take a lot of stress off students. This system is also beneficial for colleges, since they will be able to include specificities in their entrance examinations, something that is impossible to do unless they are customizing their own entrance tests. Colleges will be able to set new criteria based on their own curricular values, which will be more relevant to their syllabus and teaching methods. You start up could be the embodiment of all the above mentioned advantages. You could hire experts who will sit down and create questions for entrance tests for different colleges based on principles and rules set by them. You could have one representative from the college on the examination board to help your experts keep in step with the aspirations that the college has for itself. These tests will be highly efficient and personalized, and the college will have a much more important role in their creation. Students will find it easier to prepare when they know they are appearing different tests in different institutions, because they won’t have to worry about bad ranking in one examination determining their whole college career. It will bring about an overall progress in the quality of students that a college takes in. 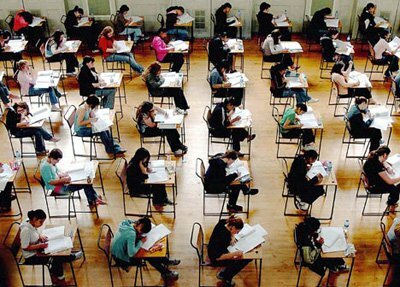 Personalising tests also means giving students a fair chance to perform in different areas based on their aptitude. Your start up could simply provide the online tests keeping in mind all these factors. These tests could be sponsored by the institution and students will have to appear at a selected venue and take the online tests. This is a good startup idea because lately, with the rising competition, it is very unlikely that all students are able to give their level best in the national level entrance tests that they are taking. They deserve a chance to prove themselves, and a different college having different tests gives them just as many chances as they need. This is something that will boost the overall morale of the students. Institutions will also have a greater say in the framing of their tastes and they will be more adapted to the tastes, preferences, and aspirations of the concerned institutions. Besides, this will also generate revenue from the fees charged for the tests, so it is a financially profitable venture as well. Colleges will be willing to pay you a good amount, should your work be efficient and high in quality. It will essentially be like colleges outsourcing their entrance-related work to you, and therefore will be a full-time work, where you have to continuously research, develop and evolve.